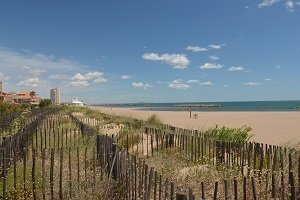 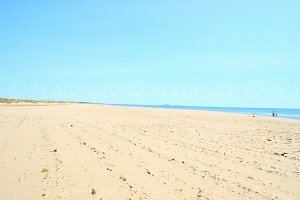 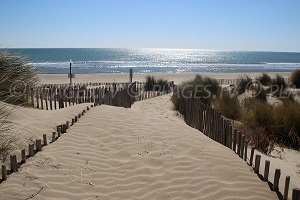 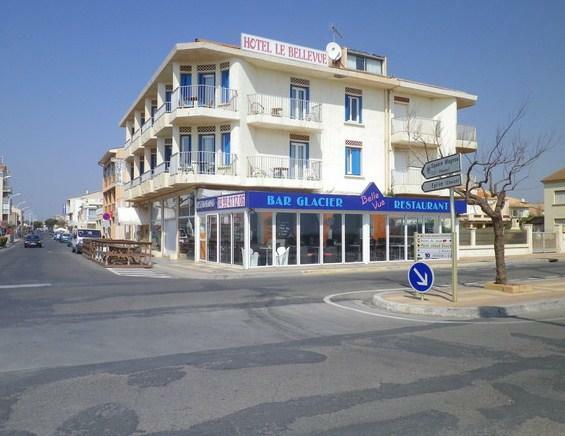 You will find 4 beaches in Valras-Plage :4 sandy beaches. 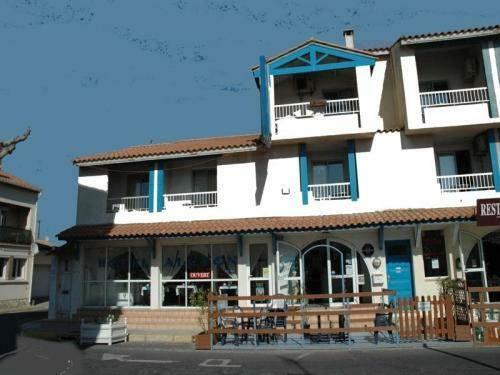 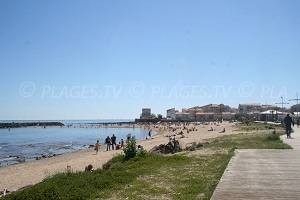 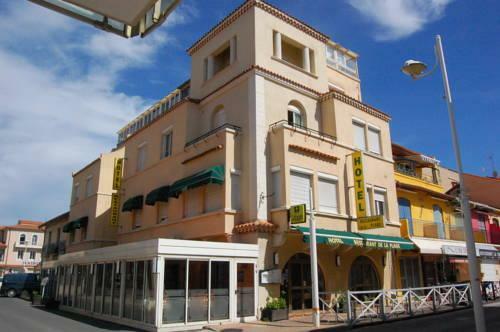 The small resort of Valras-Plage is one of the major tourist destinations of the Herault in France. 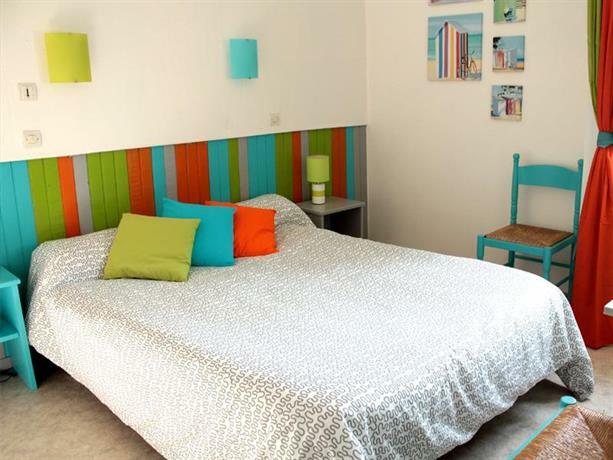 It is located fifteen kilometres from Béziers, on the right bank of River Orb, in the region of Languedoc Roussillon. 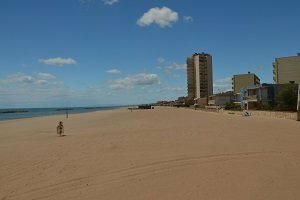 It is renowned for its authenticity and small fish market. 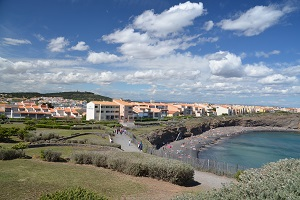 Here, nothing seems to have changed since the days when the town was still a fishing village except the walk towards the marina which has been modernized and takes you along the vast 4 kilometres beaches of Valras (divided into areas but in fact it's the same beach), right into the city centre. 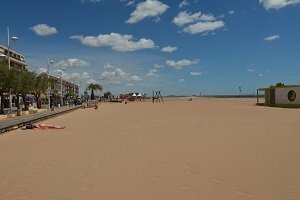 It extends to the mouth of the Aude and is ideal for families who can appreciate its many recreational areas and wide choice of activities. 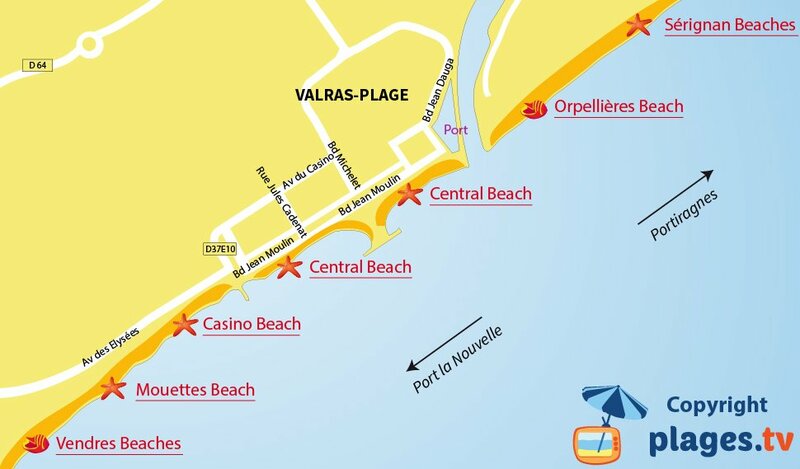 The beaches are divided into two broad zones (right and left banks of the Orb), offering a variety of restaurants and shops, and the other untamed and quiet, the Orpellières, equally accessible, but located in a protected area where the highest dunes the French Mediterranean are found. 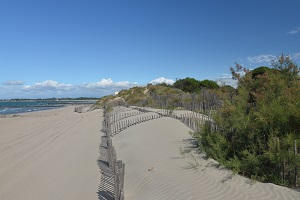 Hikers and cyclists will be delighted to discover one of the three trails starting from the town as well as the cycling circuit that allow you to discover not only the village but also the neighbouring villages to the famous Canal du Midi. 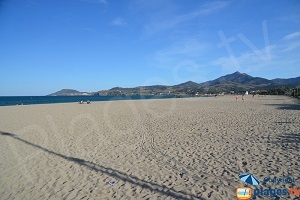 Nearby, you can enjoy the beaches of Narbonne (about 20 km) or the beaches of Sérignan (5 km).